It’s here! Today is the day! 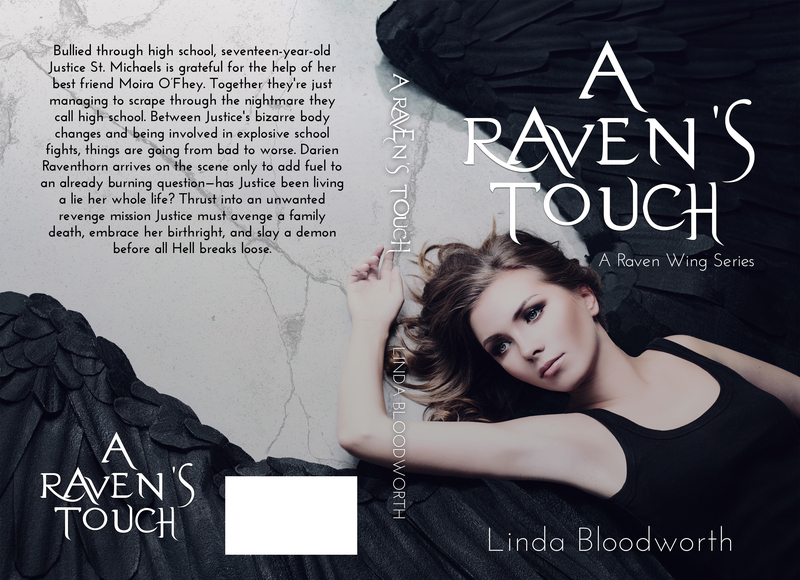 Without further adieu feast your eyes on the newly updated cover for A Raven’s Touch. The cover was created by Amanda Walker. Feel free to ask her questions about her pre-made covers. 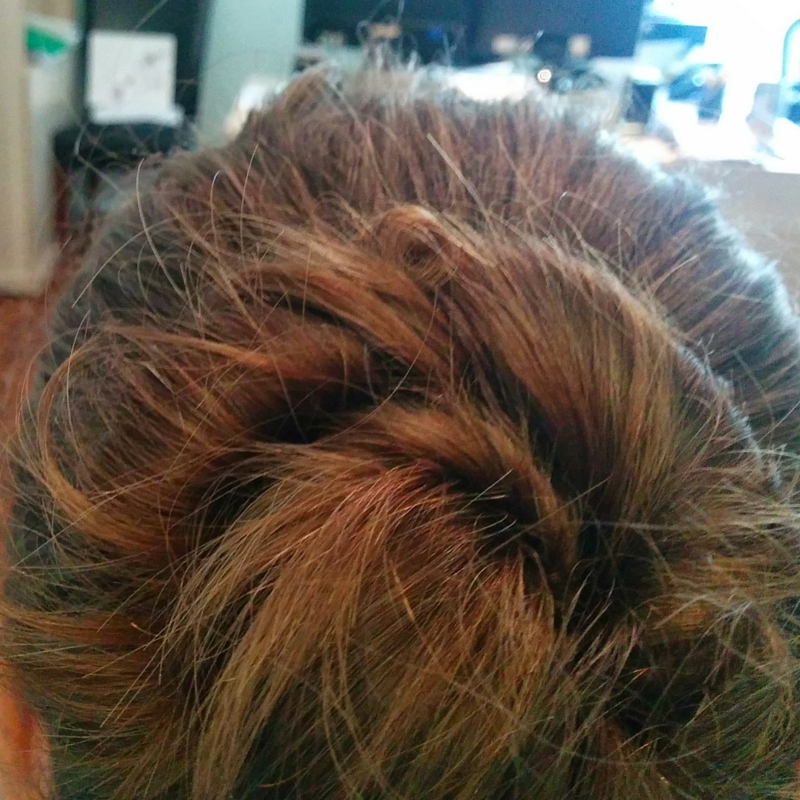 Linda says she is fantastic to work with, honest, and super friendly. She also offers PA services, so do check her out. Bullied through high school, seventeen-year-old Justice St. Michaels is grateful for the help of her best friend Moira O’Fhey. Together they’re just managing to scrape through the nightmare they call high school. Between Justice’s bizarre body changes and being involved in explosive school fights, things are going from bad to worse. Darien Raventhorn arrives on the scene only to add fuel to an already burning question—has Justice been living a lie her whole life? Thrust into an unwanted revenge mission Justice must avenge a family death, embrace her birthright, and slay a demon before all Hell breaks loose. Linda Bloodworth loves chips, like really, ketchup to be exact. Ketchup chips are only found in Canada. Lucky for Linda she lives in Toronto with her husband and three fur babies. In between writing, debating for hours about the Oxford comma, and the misunderstood semi colon, Linda enjoys camping and getting away from the city on day trips. How do I get my hands on this book!? It doesn’t matter when you’ve purchased the book now or before. 2. Subscribe to her newsletter: http://eepurl.com/bLecmr. PLEASE MAKE SURE SHE CAN IDENTIFY YOU. Your screen shot + sign up name should be the same. You MUST approve the subscription email you receive. A $3 Amazon Gift Card! Linda will randomly pick the winner Oct. 23 @ 10 AM ET. Thank you so much everyone! Linda can’t wait to hear what you have to say. Please leave a review on Amazon or any other retailer. Your review is INCREDIBLY important and helps Linda out as an author. Let the contest begin! Thank you so much for helping me out! !